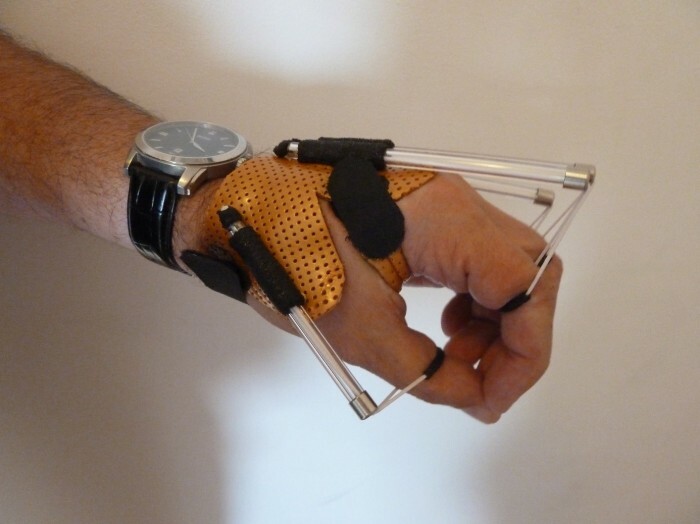 The radial nerve innervates the extensor muscles of the wrist and fingers. When the radial nerve is damaged, these muscles lose their innervation. 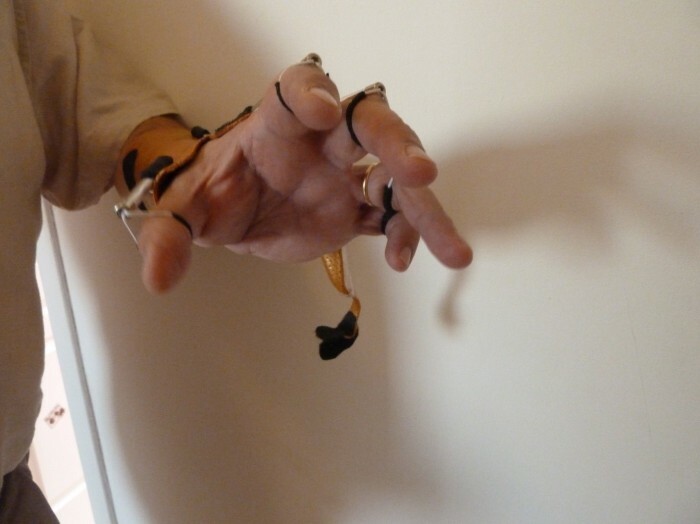 The wrist and fingers then assume a flexed posture. 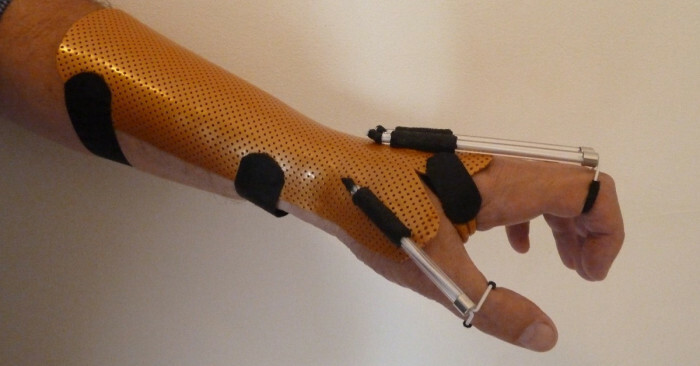 When this paralysis results in complete flaccidity, the wrist should be stabilized in extension with a static orthosis. 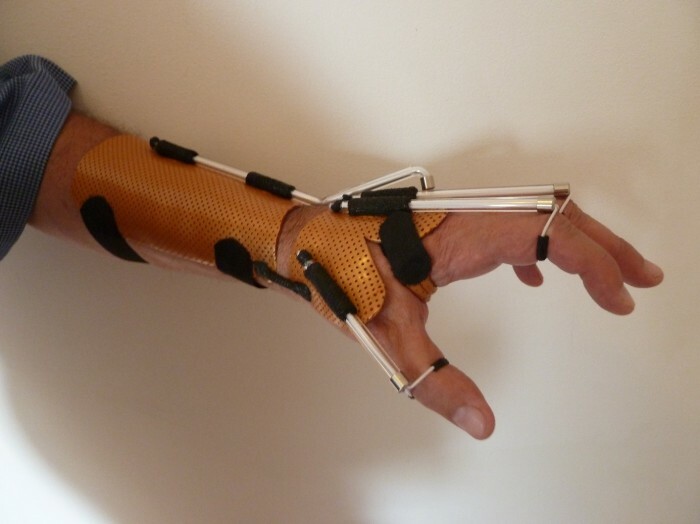 The MCP joints should also be stabilized in extension, but a dynamic system will allow active MCP joint flexion, for function and participation in activities of daily living. 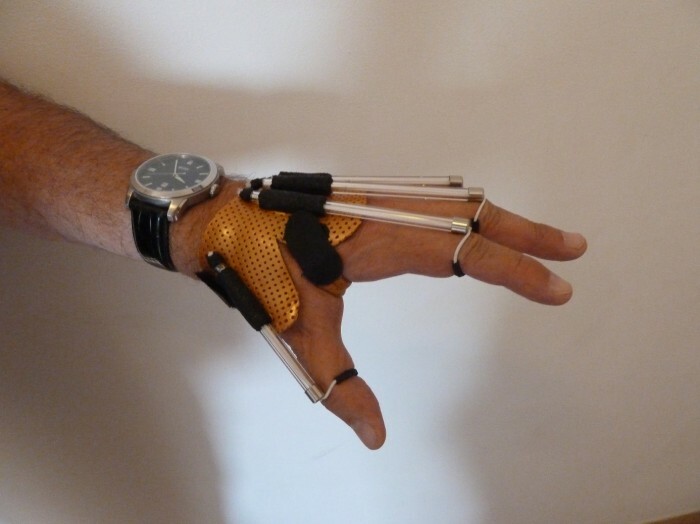 This dorsally based orthosis fabricated in Orfit Colors NS (Gold) is very lightweight, and allows most of the palmar surface to be free for sensory input. 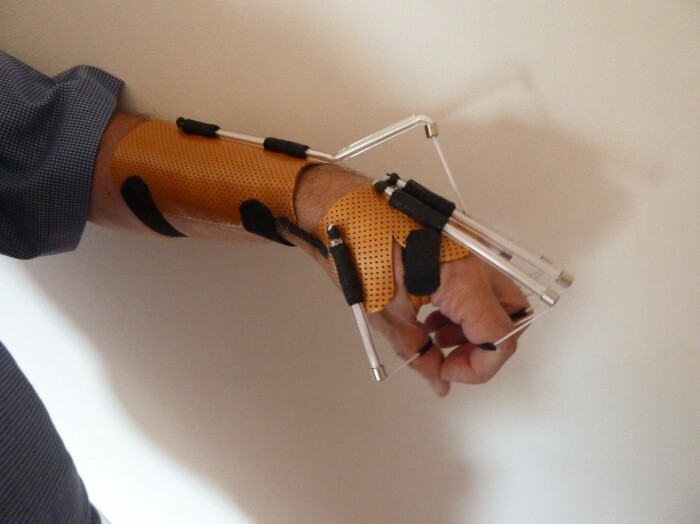 In this example, the wrist stabilization and MCP joint assistance are separated, so there is no tenodesis effect. 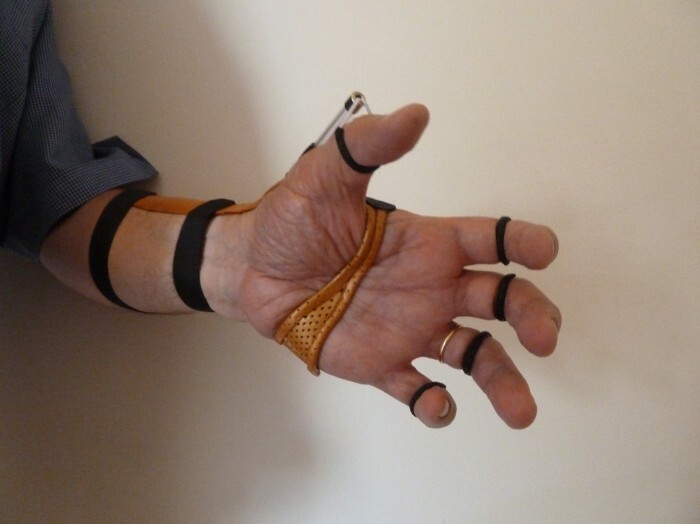 Another example allows for dynamic wrist assistance, appropriate for patients with wrist extensor muscle Grade 2/5: the lateral hinges are made with Orficast. 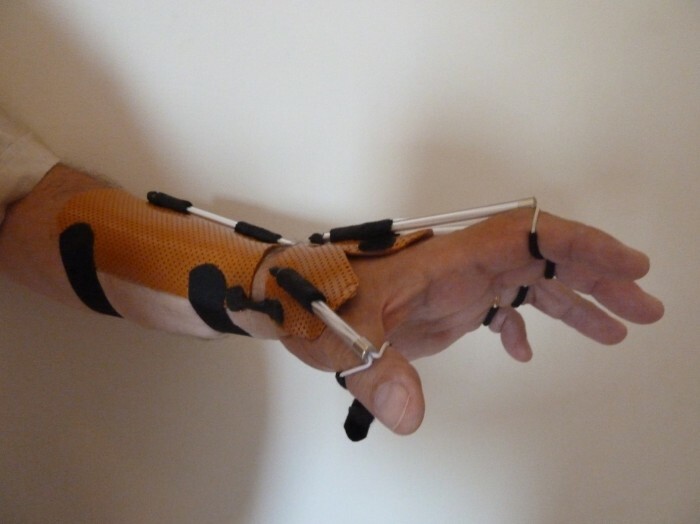 If the patient can actively contract his finger flexors, the volar part of the hand can be completely free of thermoplastic material with minimal support under the proximal phalanges to assist in MCP joint extension. 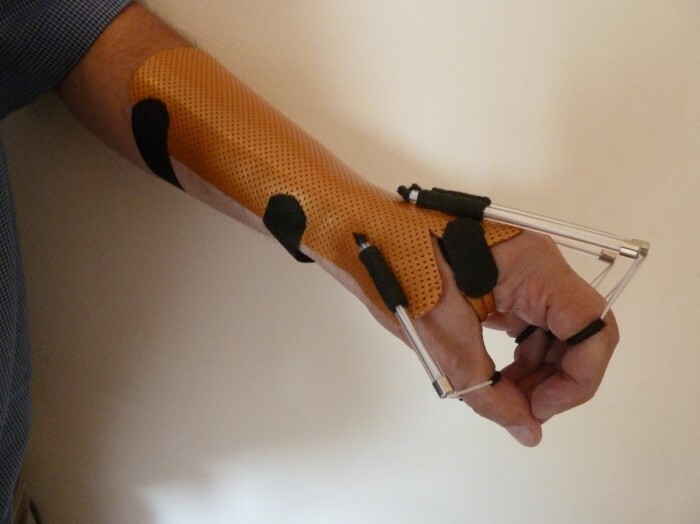 For patients with wrist extensor muscles at Grade 3/5 the proximal portion of the orthosis can be eliminated and only MCP joint extension assistance is required.